Clarabella is an intern at the Singapore General Hospital with interests in critical care and public health. She also enjoys medical aid volunteering work and mentoring medical students. Daryl is a resident at the Royal Children’s Hospital in Melbourne with a keen interest in paediatrics and medical student education. He also enjoys the diverse fields of global health, public health and emergency medicine. Jasmine is a junior emergency registrar with Monash Health with special interests in paediatrics and infectious diseases. She hopes to do some volunteer work in developing countries in the future once she has gained enough experience and skills. Thus, it may be prudent to re-examine this issue of our workforce challenges and to re-assess medical student education. Could added investment in extension and evaluation of EM to medical students pique their interest in a future EM career? Would an increased focus on EM teaching better equip and innovate Australia’s future healthcare workforce? Why is EM important in medical student education? As a population-based specialty, EM education offers medical students a glimpse into the domain of public health. Patients present with illnesses and injuries that have high population prevalence, and presentations vary even across times of the day. Students are therefore exposed to a dynamic socioeconomic, cultural and demographic case mix. 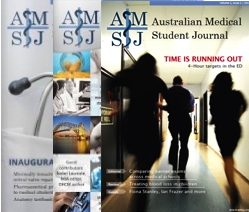 This serves to broaden not only the variety in conditions that students would see within an EM rotation, but also widens their perspectives on pertinent issues affecting different age groups in the Australian healthcare setting. EM also provides an opportunity to learn about pre-hospital care, including co-ordinating ambulance and paramedic transfer services, retrieval, wilderness and disaster medicine. Students encounter clinical scenarios they would not otherwise see such as occupational and environmental health, toxicology and trauma, and are also exposed to accident and injury surveillance, treatment and prevention. Many EDs now also contain short stay units (SSU) where patients requiring short admissions or periods of observation are managed. A multidisciplinary healthcare team is often involved in the care of these patients, and students are able to work with the team and are involved in allied health discussions and discharge planning meetings. How can students learn more? Medical students are usually not rostered on overnight shifts due to a lack of senior medical staff and thus inadequate supervision. A 24-hour rostering of students may be one way to combat the need for more placement opportunities, provided it does not overload junior medical staff. Elective night shits have already been occurring though there is no current data evaluating medical students’ learning during those specific shifts. Nonetheless, there would be benefit in providing observational exposure to a different case-mix of patients, especially in resuscitation situations, where students can play a more hands-on role during night shifts. Competency-based training including the use of logbooks and clinical pathways has been shown to improve quality of care in some areas of medicine. [16-18] Logbooks are currently used at various specialty training colleges including ACEM, and adoption for EM education can assist students to measure their abilities against a minimum standard. Medical diagnosis or treatment protocols or checklists can also guide students in developing a systematic approach to evaluating and treating various conditions. How can students contribute more? If introduced, a similar system within the EM departments where medical students assist in triaging patients, undertake basic procedures and complete preliminary paperwork alongside a nurse or rapid assessment clinician may expedite care and reduce waiting times for patients. They could also aid in collating relevant medical information from GPs, specialists, residential care facilities and families. This would ease the paperwork burden for clinicians, improve efficacy of clinician-patient contact time and at the same time provide learning opportunities for students whilst collecting and synthesising information. Medical students can also play an important role in academic aspects of EM. It is sometimes difficult for clinicians to allocate specific time for research whilst balancing patient care; thus students can assist in identification and recruitment of subjects, drafting of protocols and briefing of staff members on ongoing projects. The immediate challenges EM departments face should not deter EM clinicians’ involvement in training medical students for the future. Rather, a collaborative effort with students to enhance EM learning will give future doctors a skillset applicable in any emergency scenario, regardless of specialty area. As such, students’ feedback on EM rotations and learning techniques should be considered when planning EM curricula. Allocation of dedicated teaching time and educators along with adequate funding for implementation of various initiatives such as e-learning and simulation courses should also be made available for use. Further research evaluating the current state of EM medical student education nationwide is crucial to identify key areas for improvement. Pilot projects testing novel ways such as those listed above to allow students to contribute to EM departments will also be beneficial to further evaluate innovative learning techniques. The authors would like to thank Dr Tony Kambourakis and Dr Simon Craig for their valuable assistance in guiding the development of this manuscript. Braitberg G. Emergency department overcrowding: The solution to any problem is a matter of relativity. MJA. 2012;196(2):88-9. Chong A, Weiland TJ, Mackinlay C, Jelinek GA. The capacity of Australian ED to absorb the projected increase in intern numbers. Emerg Med Australas. 2010;22(2):100-7. Dowton SB, Stokes M, Rawstron EJ, Pogson PR, Brown MA. Postgraduate medical education: Rethinking and integrating a complex landscape.MJA. 2005;182(4);177-180. Celenza A. Evolution of emergency medicine teaching for medical students,Emerg Med Australas . 2006;18(3):219-220. Celenza A, Jelinek GA, Jacobs IG, Murray L, Graydon R, Kruk C. Implementation and evaluation of an undergraduate emergency medicine curriculum. Emerg Med Australas. 2001;13:98–103. Aldeen AZ, Gisondi MA. Bedside teaching in the emergency department.Acad Emerg Med. 2006;13(8):860-6. (AMA). AMA. AMA Positional statement: Core terms in internship. 2007 [29 Feb 2012]; Available from: http://ama.com.au/node/2712. Schuld J, Justinger C, Kollmar O, Schilling MK, Richter S. Contribution of final-year medical students to operation room performance—economical and educational implications. Langenbeck Arch Surg. 2011;396(8):1239-44. Davis DJ, Moon M, Kennedy S, DelBasso S, Forman HP, Bokhari SA. Introducing medical students to radiology as paid emergency department triage assistants.JACR. 2011;8:710-5. Indraratna PL, Lucewicz A. Impact of the 4-hour emergency department target on medical student education.Emerg Med Australasia. 2011;23(6):784. Wald DA, Lin M, Manthey DE, Rogers RL, Zun LS, Christopher T. Emergency medicine in the medical school curriculum.Acad Emerg Med. 2010;17:S26-S30. Celenza A, Li J, Teng J. Medical student/student doctor access to patients in an emergency department.Emerg Med Australas. 2011;23(3):364-71. Langhan TS. Simulation training for emergency medicine residents: Time to move forward.CJEM. 2008;10:467-9. Tabas JA, Rosenson J, Price DD, Rohde D, Baird CH, Dhillon N. A comprehensive unembalmed cadaver based course in advanced emergency procedures for medical students.Acad Emerg Med. 2005;12:782-5. Nagler J, Harper MB, Bachur RG. An automated electronic case log: Using electronic information systems to assess training in emergency medicine.Acad Emerg Med . 2006;13:733-739. Chu T, Chang S, Hsieh B. The learning of 7th year medical students at internal medical – evaluation by logbooks. Ann Acad Med Singap. 2008;37:1002-7.